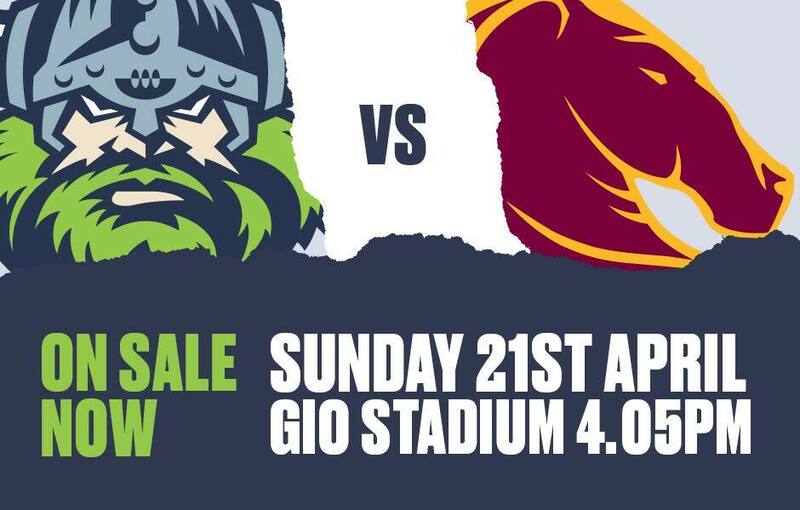 GIANTS members can get a discount on tickets to see the Canberra Raiders. GIANTS Canberra members can enjoy a weekend full of football by taking advantage of a great offer from our friends at the Canberra Raiders. 2019 members can get up to 20 per cent off tickets to the Raiders’ NRL clash with the Brisbane Broncos on Sunday, April 21. With the Raiders currently sitting third on the NRL ladder the game at GIO Stadium will provide some Sunday fun for those staying in the nation’s capital after the GIANTS’ round five clash with the Dockers at UNSW Canberra Oval on Saturday, April 20. CLICK HERE to purchase your tickets to the Raiders v Broncos game and enter the promo Code: 19CBRBNE20 to take advantage of this discount. To take advantage of this offer, members must pre-book their tickets. If you haven’t already renewed or signed up as a GIANTS 2019 member you can do so my CLICKING HERE. To get your tickets to the GIANTS’ game against the Dockers at UNSW Canberra Oval on Saturday, April 20 CLICK HERE.